Lock in a great price for Gypsy Moon Bali - rated 9.3 by recent guests. Best place i have stayed in south east Asia. It’s a small accommodation, clean, and very kind staff. The beds are amazing, comfy and private with curtains. It’s a bit further from the beach but with a scooter easy to go around with. Ended up staying 2,5 weeks! Peaceful place to stay. With such a bueatiful rooms and swimmingpool. Breakfast was great! It’s a beautiful small property and great staff ! I only stayed for one night I had to move to another one which I didn’t like so much , it ended up that they did have a free bed at Gypsy moon, I was totally gutted about that as I did check with them really late at night for the room! Maybe next time I will stay longer. Breakfast was offered in the morning and I felt really relaxed sitting enjoying it :) rooms were good although if there was more showers and toilets it would have been better ? There might be a small blockage in the shower drain as the water was really over flowing but nothing major . I traveled the entire year and this was by far my favorite hostel. I did rent the private suite room, and it was fantastic! Very good price For my own space, and sharing the pool with the other 18 people was great! The staff organizes everything for you. They are great at helping with anything you need. I rented one of their motorbikes, which made the location perfect. Clean facility. Super cute and quaint little guesthouse. Gorgeous decor. Everything. It is beautiful, clean, comfortable and the staff is super nice and helpful. Nice atmosphere and pool. One of the best hostels I have ever stayed in (and I’ve stayed in many). I booked the suite and it was great, very sweet interior and cleaned everyday. Free cold water refills and breakfast was good. Lovely hostel, great to meet people and socialise yet very relaxing. The location is not in the centre however it was close enough to get around by foot, get a go Jek, or get a lift with fellow travellers. The staff were all lovely. Definitely the best place I have stayed in Bali and a reasonable price. 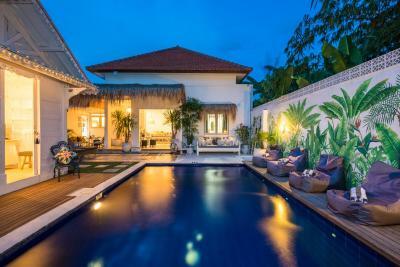 Gypsy Moon Bali is located in Canggu, 1.4 miles from Echo Beach, and has an outdoor swimming pool. 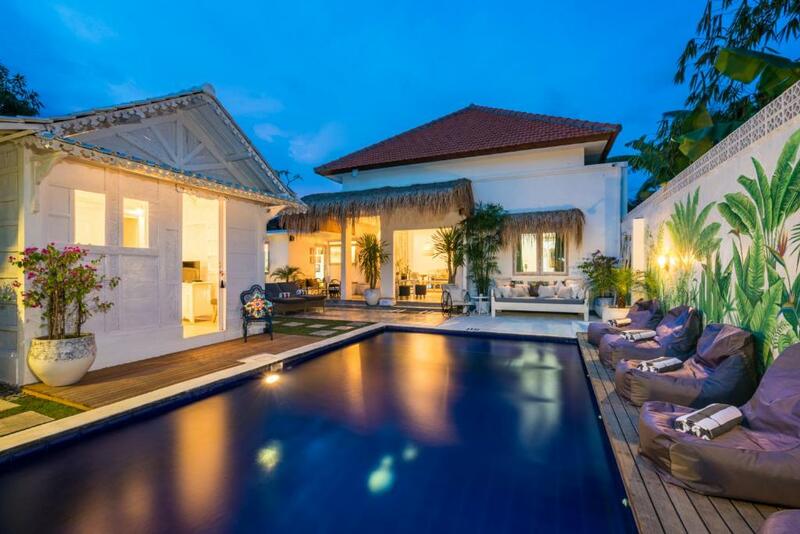 The property is around 3.7 miles from Vue Beach Club and 3.7 miles from La Laguna Bali. Local points of interest like Batu Bolong Beach and Berawa Beach are reachable within 1.8 miles and 6 km, respectively. All rooms at the hostel come with a seating area. Each room is fitted with a private bathroom. All units at Gypsy Moon Bali feature air conditioning and a wardrobe. The nearest airport is Ngurah Rai International, 11.2 miles from the accommodation, and the property offers a paid airport shuttle service. Gypsy Moon Bali has been welcoming Booking.com guests since 23 Mar 2018. When would you like to stay at Gypsy Moon Bali? House rules Gypsy Moon Bali takes special requests - add in the next step! Gypsy Moon Bali accepts these cards and reserves the right to temporarily hold an amount prior to arrival. It’s just a little far from the main part of town and beach but expected when booking . I loved it there! Everyone was so nice and everything was tidy and clean. It was one of the best hostels I stayed in. Also the breakfast was really delicious, you got two eggs in the kind you wanted to have them, coffee or tea, one toast with butter and jam and fresh fruits. It was a lot more than what I expected. People were to loud in the common area as its between the rooms(specially in the evenings) and specially during silence day people didn't respect this and the staff didn't really tell them to keep it down. A bit annoying to be honest.